Kitchens and bathrooms are central to the home, but there are many other spaces that contribute to a well-designed home. We are here to advise you on the design and renovation of any space in your home, and have plenty of experience in finding the perfect products to complete these spaces. 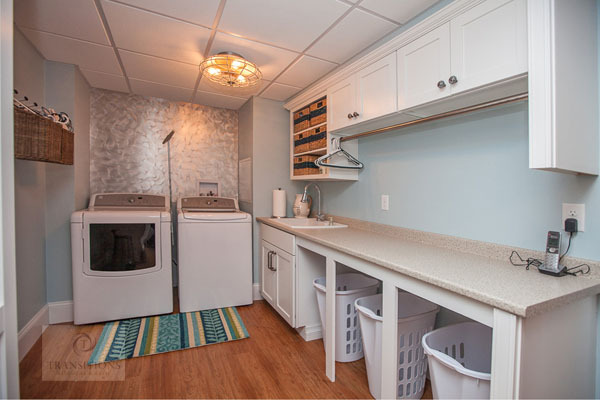 Laundry rooms may include a counter on top of your washer and dryer. They can also incorporate a sink with an area for hanging delicates, an ironing station, built in storage for laundry supplies and sorting laundry, and much more. With the popularity of open plan kitchens, family rooms, entertainment rooms, and bar areas are often extensions of a kitchen remodel. 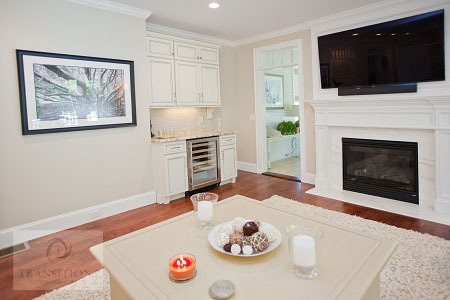 The scope of these projects can be as simple as mounting a TV over a fireplace, building a new mantel, and adding built-in cabinets or a small bar area. These projects can become bigger in scope when game rooms, wine cellars, or large bar areas with seating are desired. We can help any of your requirements become a reality, whether you want a small entertainment center, an indoor or outdoor bar, or a complete wine cellar. Mudrooms have become increasingly popular as part of organizing the way families live today. 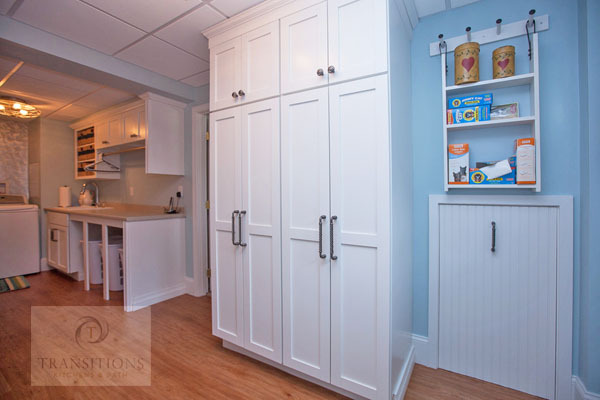 Many of our kitchen remodeling projects are expanded to include adjacent mudrooms. We can design bench seat areas with lockers or cubbies to make these spaces look ­finished and give every family member a place to store shoes, jackets, hats, gloves, backpacks and more. Pantries come in all sizes and can meet several needs such as food storage, a space for small appliances or an extra area to prepare food.